Winter and the mood for movies under a warm blanket both arrive together… what are the options you have to watch movies in Alcala de Henares? 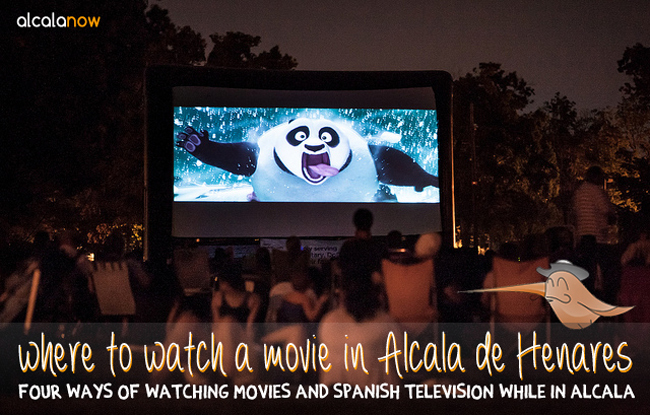 These are four ways of watching movies and spanish television while you are in Alcala. The one that is a real movie theater. Here you can buy popcorn, sweets, coke and enjoy your 2D or 3D movie in a modern auditorium. After that you could have some dinner or go bowling in Cuadernillos. Just what you can expect from a movie night. One regular ticket costs 8,40€. A 3D-movie ticket is 11,40€. Discounts are applied on non-holiday Wednesdays, as well as discounts for kids under 14 years old and Carnet Joven owners (tickets then cost 6,90€ for a 2D-movie and 9,90€ for a 3D one). The schedule is available online, for example in this website. Sometimes movies are shown in the original language or ‘Versión Original’ in Spanish (abreviated as VO), but only on special occasions. Check the schedule first. By bus: Use the bus line 5 (Barrio del Pilar – Centro Comercial La Dehesa),schedule and route are available in our website. By train: Take the train line C2 (the only one there is in Alcalá) direction Guadalajara. 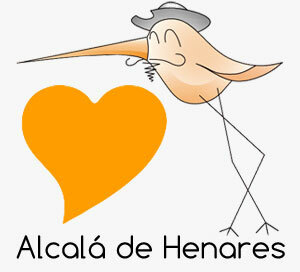 You must get off at the stop ‘Alcalá de Henares Universidad’, it is just one stop after the Main Station. By car: Exit 34 or 35 of the N-II highway. Our personal opinion: it is a bit oversized so that auditoriums are usually almost empty (not as much on weekends though). What is the reason? probably its location, which is in the outskirts of Alcalá. Anyway, it is a nice movie theater and it will fulfill your expectations. The regular use of this place is not for movies but theater. In spite of that, this place hosts a film club, and that is why sometimes movies are shown there. It is a traditional theater, not made for movies, with only one auditorium. One regular ticket costs 3€. Sometimes festivals like ‘Muestra internacional de largometrajes’ or AlCine Festival use this space, which increases the number of movies listed. It is located in the city center: Cervantes Street 7. Our personal Opinion: We love this place and not taking the car to go to the movies. Also, it is a charming builinding that you should visit at least once, so beautiful! An old-fashioned and low-cost choice, rent a movie in a video store. Quick and simple. It will cost you around 3€ per movie. Take a walk and look for the location of the closest video store. If you think that there is nothing as comfortable as your blanket, and as intimate and quiet as your own coach, then you should watch a movie online. Don’t do it just as you would do in your own country. Since you are living in Spain now, why don’t you watch Spanish TV? If you don’t know much Spanish, this might not be for you. If you are learning our language, having the opportunity to watch each episode as many times as you need, seems like a good idea. Spanish TV Channels have their own websites where you can watch any episode of their programs online. Just pick the one you enjoy the most, and learn Spanish while relaxing in your home. You can click in El Barco and watch every episode of each season. 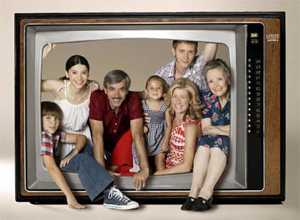 Cuéntame cómo paso relates the story of a normal Spanish family in 1968. It may help you to get to know our way of living and thinking. Click in Temporadas completas to watch the episodes online. We like the series La que se avecina and Aída in addition to the programs Cuarto Milenio and Callejeros Viajeros, among many other options that are there. 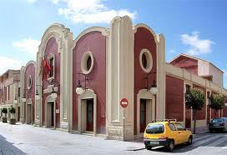 Check this link if you want other ideas for having fun in Alcala.